We take pride in our trees! 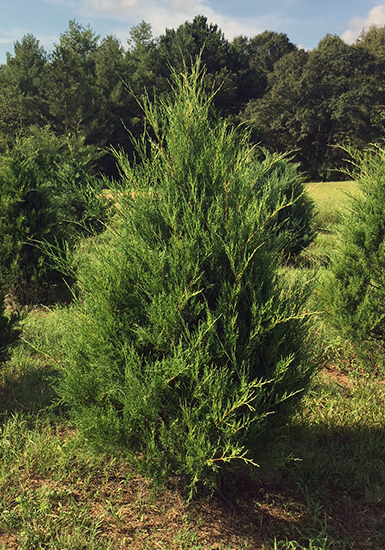 The Leyland Cypress has soft, dense foliage, drops few needles and is non-allergenic. It holds heavy ornaments and stays fresh through the Christmas season. 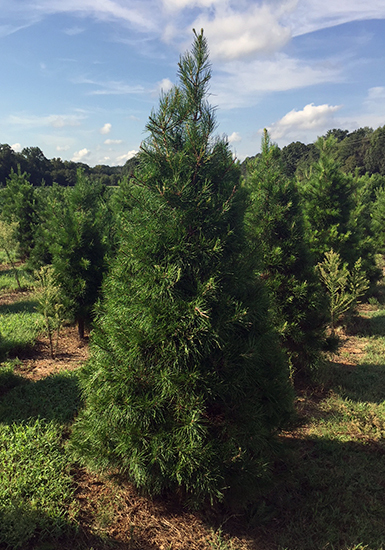 The Southern Scotch Christmas tree has short needles, dense foliage and a strong pine scent. It has strong branches which are excellent for holding heavy ornaments. 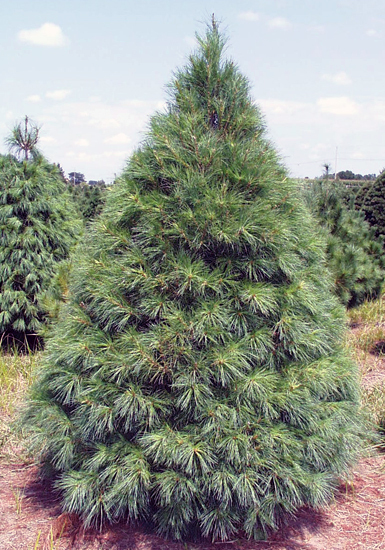 The White Pine Christmas tree is a full, soft needled pine tree with a pleasant pine scent. It decorates well with light weighted ornaments. 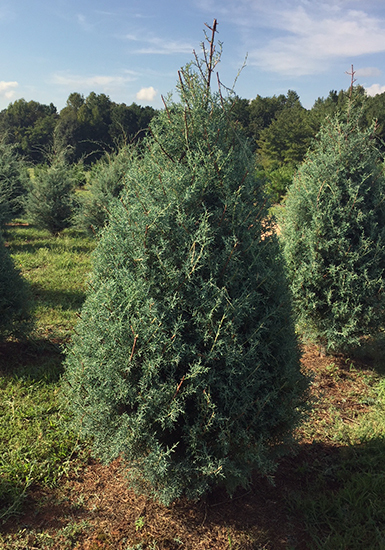 The Carolina Sapphire is a dense, full tree with soft bluish-green needles and an outstanding fragrance. It holds light to medium weight ornaments. 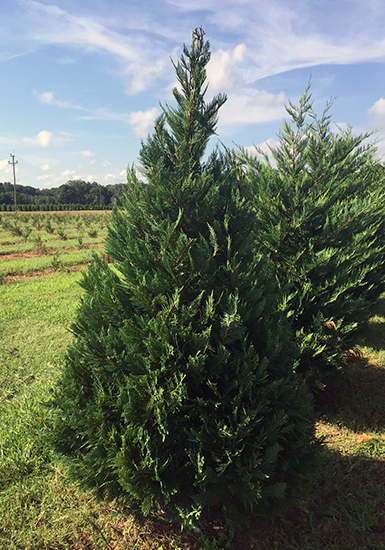 The Christmas Mint Cypress has soft dense foliage and holds heavy ornaments with a lemon-mint fragrance. It drops a few needles. 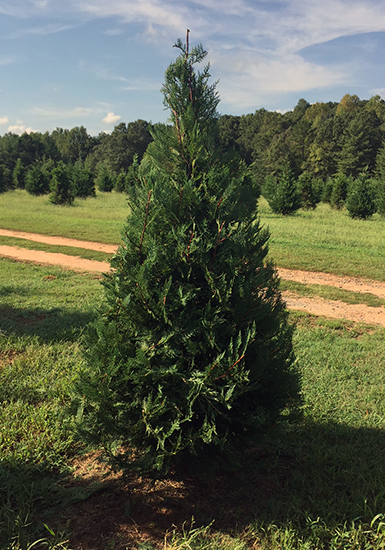 The Cedar is the “Native Southern Christmas Tree.” It has a traditional cedar fragrance and prickly foliage. It holds light to medium weight ornaments. 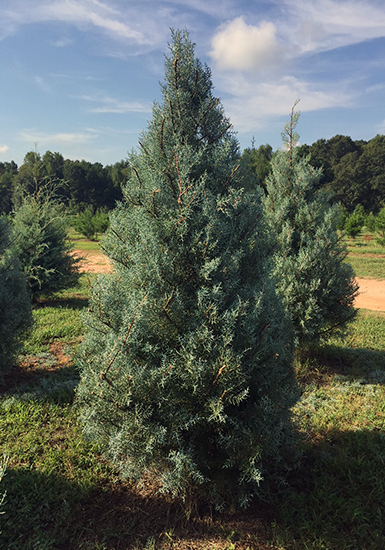 The Blue Ice is a silvery foliage Christmas tree with a citrus fragrance. The branches support small lightweight ornaments. 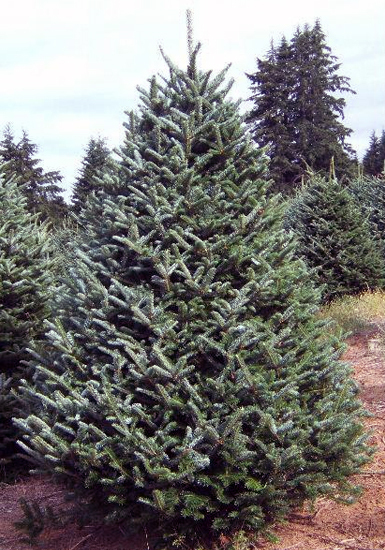 The Fraser Fir has strong branches, blue-green foliage, and a wonderful fragrance. It stays very fresh during the Christmas season and can hold heavy ornaments. The only negative…we cannot grow them in South Carolina – they are shipped from the North Carolina mountains FRESH CUT! and placed in water immediately upon arrival.